The combination of this polish and snowflakes is not new to me. 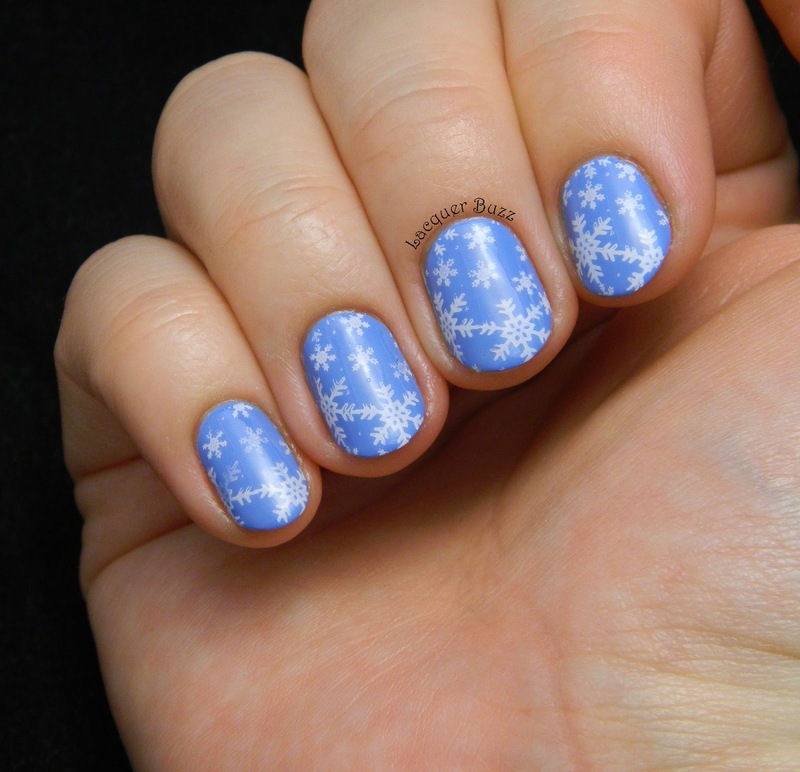 The first manicure I created with it ages ago had snowflake stamping on it. Of course my skills evolved a lot from back then. 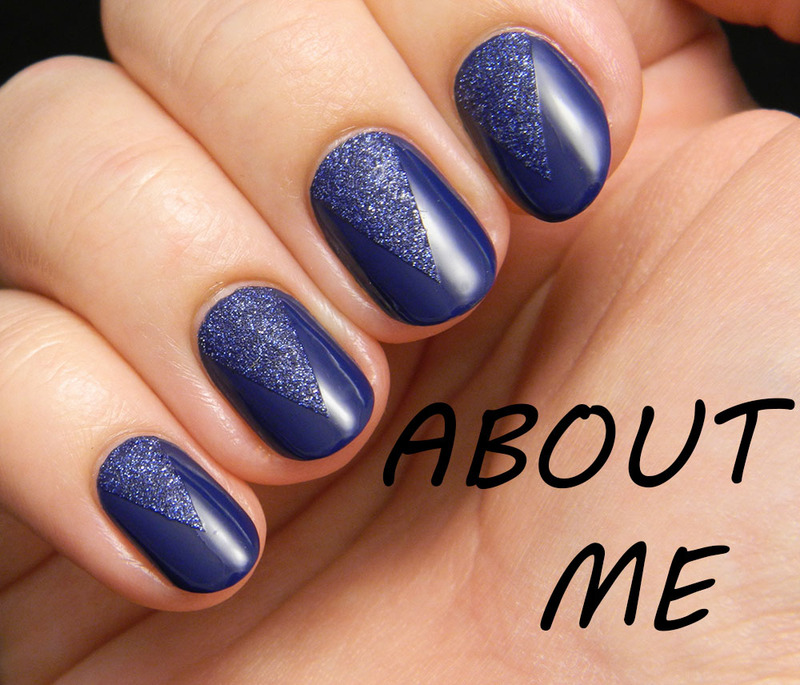 The polish is called Orly Snowcone and you can see my original post here. 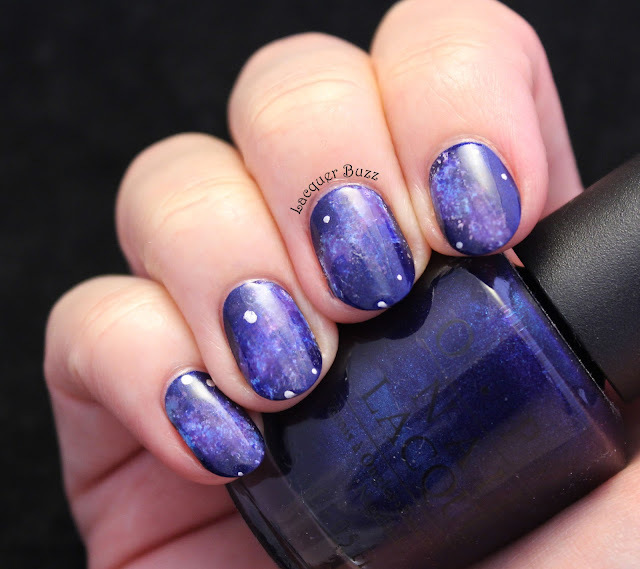 For the stamping I used an image from plate BP-01 from the Born Pretty Store. I have received the first 10 of their plates for review and I'm gonna write a separate post about all of them. This particular one is winter holiday themed so I think I'm gonna use it multiple times this month because it has a ton of amazing images on it. I used the snowflake one with Konad White for this manicure and even though it didn't turn out perfectly I liked it a lot. I know that my nails and cuticles aren't in the best shape right now because I've been doing a lot of housework this week and I would like to apologize for that. 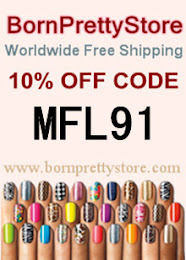 I hope you enjoyed these nails and don't forget that you can use code MFL91 to get 10% off your Born Pretty Store purchase. 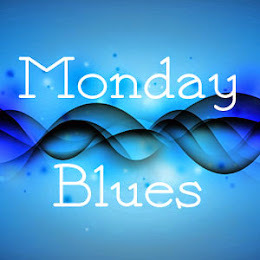 You can also check out the Monday Blues of this month in the links below! These snowflakes are so pretty! Love this!!! They make a perfect combo! Happy birthday!! Very cute!! I've been loving doing snowflake nail art! So wintery! Those snowflakes are perfect.